Suede are in the process of recording a new album. It is their first in ten years but singer Brett Anderson is already hearing echoes of two of the group’s most popular albums from the mid-90s, Dog Man Star and Coming Up. "It sounds like Suede," he told The Quietus. "We’re not trying to reinvent the sound of the band, that'd be a disastrous thing to do. I think that's possibly where we went wrong on the last two albums." Suede’s albums Head Music and A New Morning did alienate some fans who had loved the epic pop of their earlier work. Diminishing returns eventually led to the band’s split. They made a comeback in 2011. 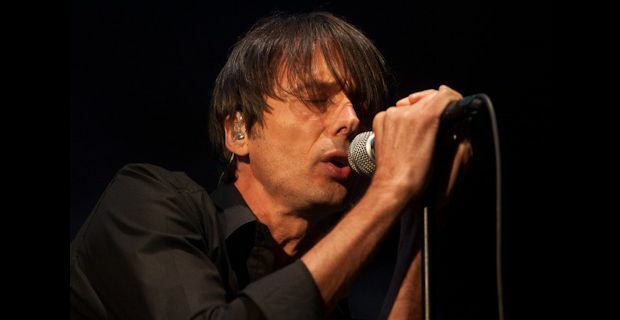 The new album has been something of a struggle, with a lot of material scrapped, before Suede returned to the producer who had worked on their first three albums, Ed Buller. "It was always going to be Ed," Anderson said. "I think it was the only thing to do to be honest. He's made some fantastic records with us in the past and now he'll make another one." Anderson admits he threw away a lot of the songs he had been working on, but said that was just part of the process. "There was a lot of that, and we discarded quite a few songs. Early this year we started hitting on the sort of songs that we were aiming to write, and it's sounding really good now." They showcased some new material at the Hop Farm Festival in July. The new record should be out in early 2013.